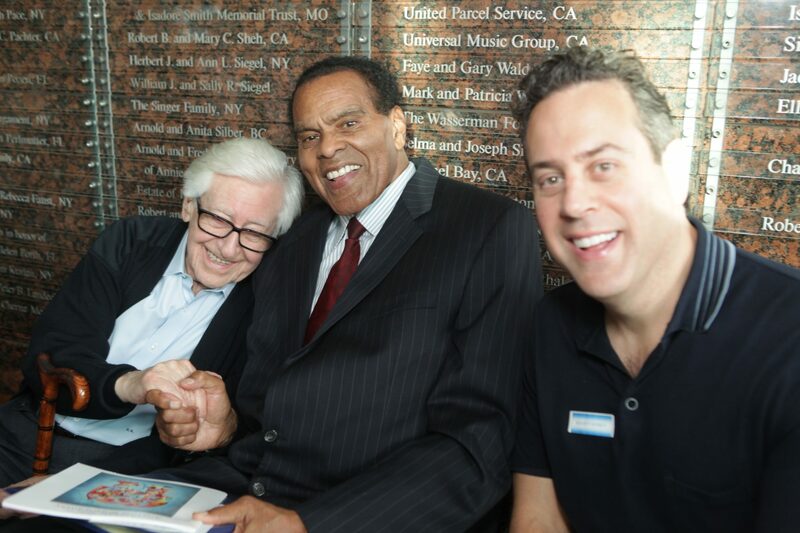 Anatole Krasnyansky poses with former NBA star Tommy Hawkins at the Museum of Tolerance. 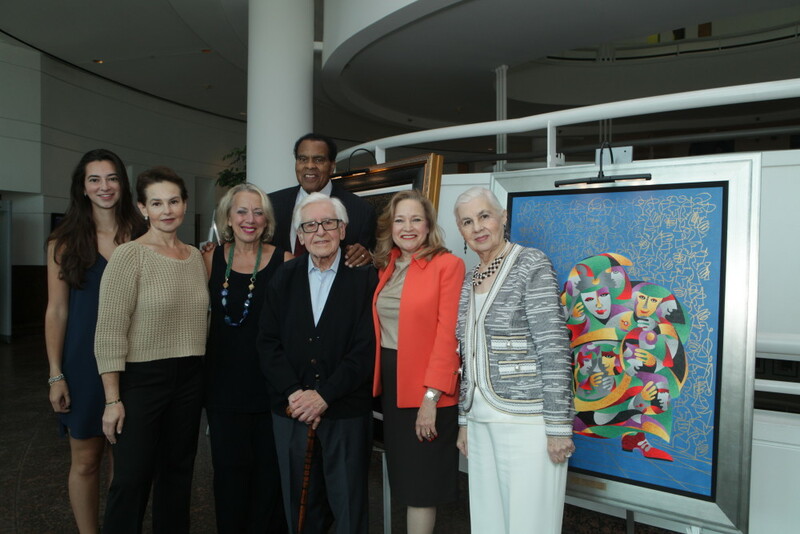 Last month, The Park West Foundation was proud to present “The Life and Work of Anatole Krasnyansky” in partnership with the Museum of Tolerance. During the extraordinary event, world-renowned artist and architect Anatole Krasnyansky shared his remarkable story of overcoming persecution during WWII. 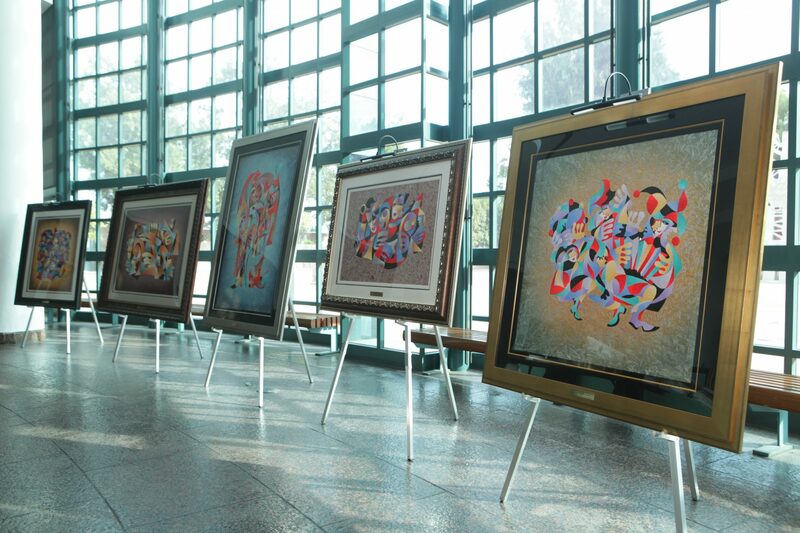 The noteworthy exhibition took place from October 30 through November 6. Former NBA player, broadcaster and author Tommy Hawkins wrote an article about Krasnyansky’s amazing life story in 2014 for the Malibu Chronicle and moderated the closing event on November 6. At the reception, guests enjoyed an array of Krasnyansky’s work ranging from the artist’s traditional paintings to his modern artwork. Krasnyansky’s early paintings were of scenic landscapes and towns, taking a “drastic change” in his abstract art. Krasnyansky’s abstract paintings feature masked characters twisting and turning in various shapes and directions. The colorful figures are distinctly human, but presented in a dream-like tangle. “We are not having one face. We have many faces,” Krasnyansky says. To create the perplexing paintings, Krasnyansky invented his own artistic method using watercolor and textured paper. 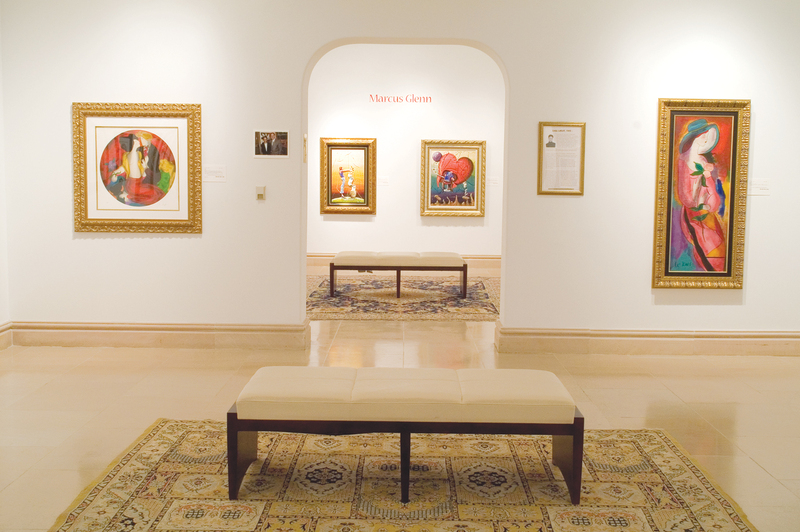 Artistic scholars credit Krasnyansky with expanding the potential of watercolor as a medium. To dream up his intriguing creations, Krasnyansky taps into a deep creativity he believes many people don’t experience. Anatole Krasnyansky meets with guests at Museum of Tolerance. 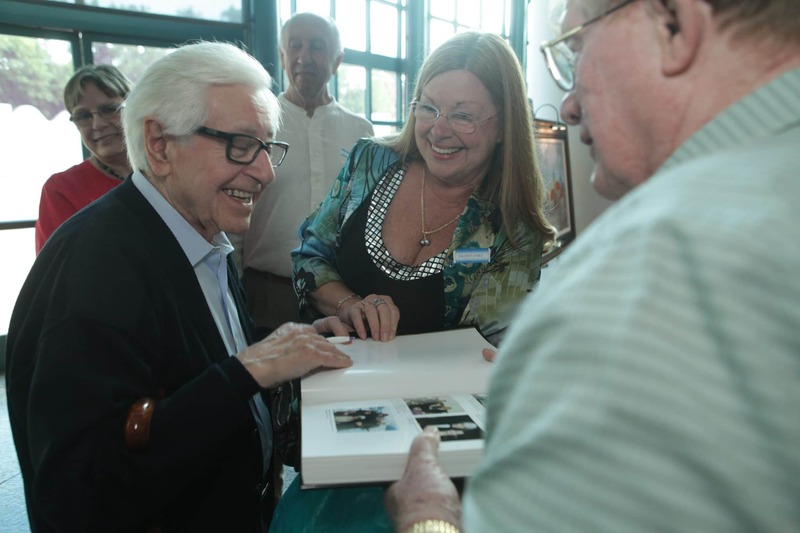 Beginning with his life in the Soviet Union, Krasnyansky shared his captivating story with the audience. While living in the former U.S.S.R, Krasnyansky worked as a painter and an architect, but faced antisemitism during his career. In 1975, Krasnansky made the decision to move his wife and daughter to the United States in search of a better life. Krasnyansky and his family settled in Hollywood, California where he quickly broke into Hollywood show business. The painter worked at ABC and CBS studios as a scenic artist. 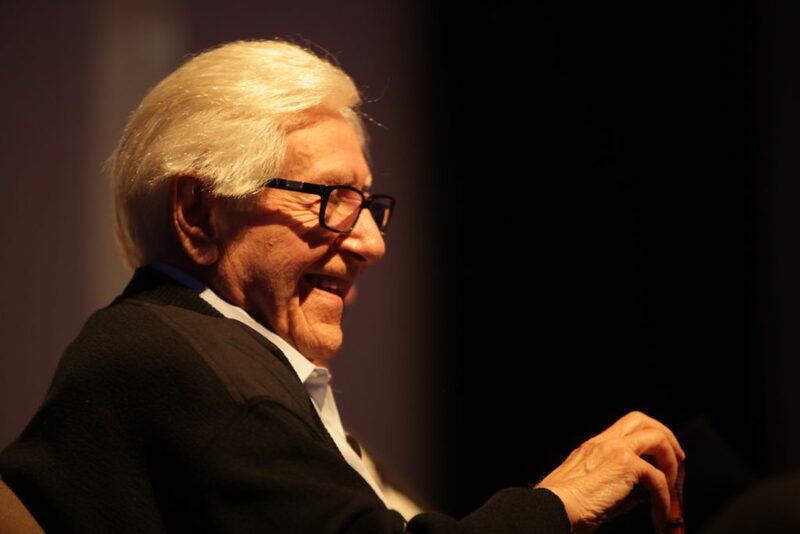 He is credited for work on several major productions including “General Hospital” and the 1976 and 1977 Academy Award Shows. “I was doing art because I loved it,” he said. Anatole Krasnyansky shakes hands with former NBA star Tommy Hawkins at Museum of Tolerance. In 1977, Krasnyanky began working as a set designer at Universal Studios. While working at Universal, Krasnyansky was horrified, then inspired by the band KISS. The rock group’s outlandish makeup and outrageous behavior influenced Krasnyansky in his artwork. After discovering his unconventional muses, Krasnyansky quit his job at Universal and began working as a full-time artist. Throughout his career, Krasnyansky has been honored with several major awards and held gallery exhibitions around the world. The painter says he feels blessed to have had the opportunity to share his artwork with others.